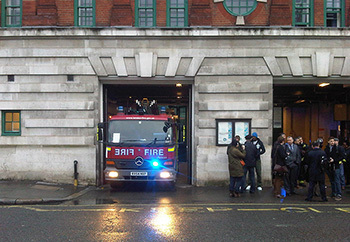 Clerkenwell Fire Station - more delays to follow the delays. Last October wI ascertained that the Greater London Assembly (GLA) and London Fire Brigade (LFB) expected to have a specially commissioned report with recommendations on the future of the former Clerkenwell Fire Station delivered to them in March 2018, on the basis of which they would decide the way forward (see previous news item on this page). Pursuant to its interest in acquiring the site (explained here on our website), wI has been monitoring progress. We have now been informed by LFB Assistant Director Mr Nicol Thornton that, following further delays, the specialist report has finally been received and is under consideration. As to the next step, he advises "Subject to the requisite approvals from the London Fire Commissioner and the Deputy Mayor for Fire and Resilience, we anticipate reaching a decision on the way forward for the disposal of this property in the next few months." And so the months continue to roll by, with perhaps no decision even by the end of this year. still we keep asking "WHY?" Please support World Water Day. ...stopping and thinking every time you reach for the tap. 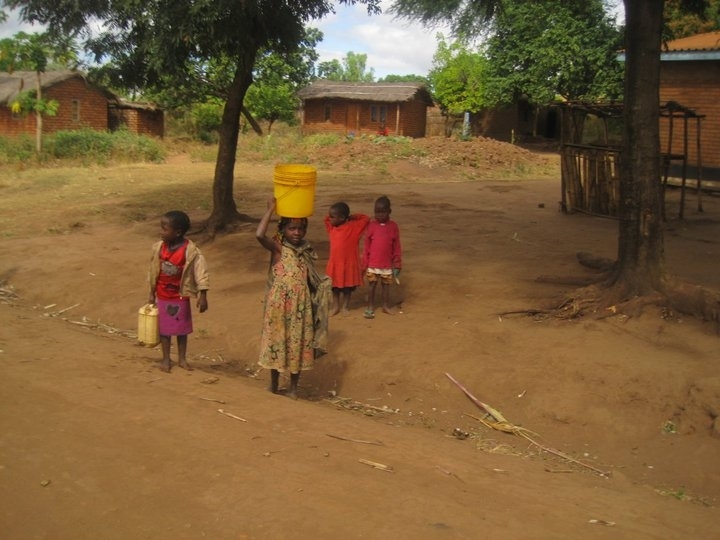 World Water Day takes place on 22 March every year, and is an initiative of the United Nations. It encourages those of us lucky enough to live in societies where water flows readily from our kitchen and bathroom taps to use those taps as little as possible. 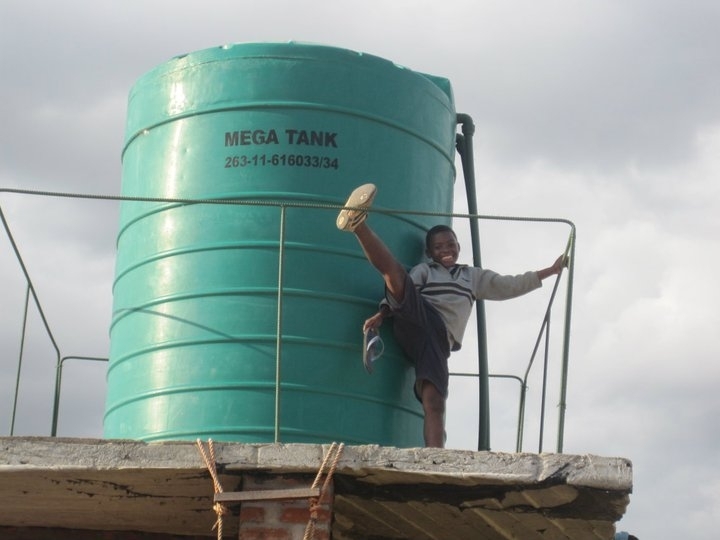 Short of subjecting yourself to dehydration, if you would like to support WWD, please use your taps as little as possible and encourage others to do the same, and try to imagine living without access to fresh, safe, running water at the turn of a handle. World Water Day is all about awareness and driving home the message that there are still millions of people in our world who at best devote much of every day to collecting the minimum quantity of water they need to survive, and at worst risk disease and death from only having access to contaminated water, or to not being able to source water at all. Each year the UN gives WWD a different theme, and this year it is "Nature for Water". This is looking at environmental damage which is bringing about alarming growth in the level of water-related crises - floods, droughts, water pollution, soil degradation, and so on. Should you be inspired to make a donation and/or get involved, please note that here at Water Incorporated, we do not take direct donations nor manage projects ourselves. We have our very specific "Wash-If" programme - explained here on our website - which we are waiting to launch once we have secured our HQ and set up our team. But there are established organisations out there doing great work in the field, and you can find some useful contacts on our "Links" page. After refusing a previous submission on the grounds that it was deemed "frivolous"(! ), LFEPA - the governing body of the London Fire Brigade - finally accepted a Public Question from wI Trustee Peter Ulrich at its meeting at City Hall on 5 October. Peter asked when a decision on the future of Clerkenwell Fire Station would be taken. The initial "written" response from the Chair indicated that the decision was on hold while London Borough of Islington is reviewing its local plan for the area. However, wI has been assured by Islington's Planning Department that such planning reviews will not make any changes to the specific Planning Brief for Clerkenwell Fire Station which they published in November 2014 following the public consultation. Peter raised this point and, in a response from LFB Director Ms Sue Budden, was told "We are not explicitly waiting for the conclusion of their work on the local plan." The Chair's response also advised that: "specialist work will be commissioned to assess the feasibility and viability implications of including residential accommodation including affordable housing in any future conversion of the existing listed building." Ms Budden added to this: "What we have done is gone out to tender for specialist consultants to help us decide what we might do on the site. They are due to report back at the end of October 2017. They will take a couple of months to do the work and we are expecting them to bring a recommendation on what we might do with the site back to our Resources Committee, hopefully in March 2018." Peter pressed on this point, repeatedly asking if a decision would be made by March, but could only get from Ms Budden: "if we got that recommendation in March and it was agreed by the Authority that they wanted to proceed with some sort of disposal on that site then we would put the steps in train almost immediately once that decision was taken". And all the while, nobody at City Hall, LFEPA or the LFB will engage in even preliminary discussions with wI about our offer to buy the former fire station at fair market price and develop the site fully in accordance with the wishes of local people (i.e. the Islington Planning Brief) and in full consultation with English Heritage, the Council's Conservation Office and the Victorian Society. And they refuse to tell us WHY! Note: the full minutes of the Public Question exchange can be seen here. 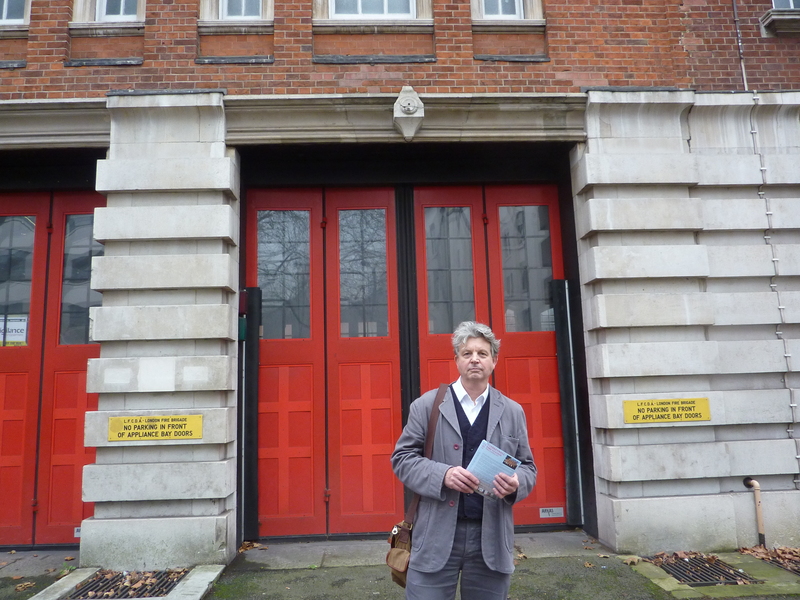 Water Incorporated Trustee Peter Ulrich outside Clerkenwell Fire Station, with flyers which have been distributed in the locality. 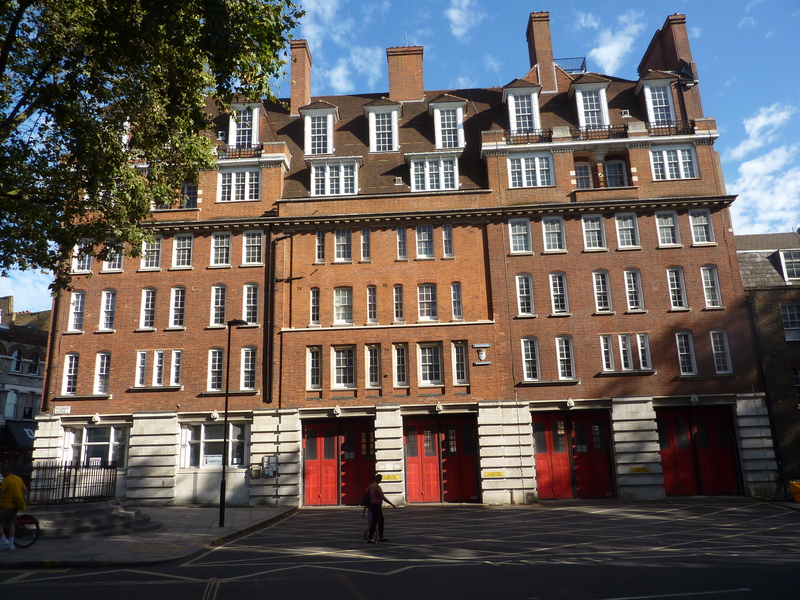 Water Incorporated (wI) has collected 1100 signatures in recent weeks on a petition calling on London Mayor Sadiq Khan to re-open the public sale process for Clerkenwell Fire Station to enable us to make our formal proposals and bid for the building and site. We have now applied to the Mayor's Office for permission to present our petition. The signatures were collected by our team on streets in the vicinity of the Fire Station, notably in Exmouth Market, Chapel Market and St John Street, and a high percentage of the signatures are from people who live and/or work in the Clerkenwell area. We are extremely grateful for the tremendous local support we received. wI Trustee Peter Ulrich, who led the street team, was overwhelmed by the strength of interest in the historic Fire Station's future. "It's often difficult to get people to stop in the street, especially in some of the very cold and occasionally wet conditions when we were out there. But as soon as people heard the words 'Clerkenwell Fire Station', most would stop, or even get several paces down the street and then turn back to ask us what it was all about. "Once we had the chance to explain, we found great enthusiasm for our plans. People readily signed the petition, some went to fetch friends and relatives to come and sign, and we even had market traders sending their customers over to us to add their signatures. We also heard some facsinating recollections - we met family members of firefighters who had been based at Clerkenwell, we had someone who remembered being allowed to play inside the station's yard as a kid (before the 'health and safety' era), and I met one long-time resident who recalled pigs being kept at the Station during the War - something to research for our proposed museum to the local fire service! "We were left in no doubt that there is huge support for Clerkenwell Fire Station to have a new role in the heart of the local community, and that there is almost universal opposition to it being sold off for another introverted, gated development of luxury flats for the super rich - I did genuinely meet THREE people who told me they thought the latter would be the better option, but I think their tongues were planted firmly in their cheeks! "We also encountered considerable anger that the Fire Station was closed down over three years ago despite strong local protests, and yet still nothing has been done with the building - other than making it home to a private security company which has reportedly cost well in excess of £250,000 so far, and which costs continue to escalate. The community feels insulted and badly let down by those responsible." wI has been trying to bring forward its proposals and make a formal bid for Clerkenwell Fire Station since September 2016, but has met with inexplicable opposition from the London Fire Brigade and its governing body, the London Fire and Emergency Planning Authority (LFEPA). Members and officers of LFEPA have refused us access to the site and have blocked every attempt we have made to open negotiations, and we now believe we must secure the direct involvement of London Mayor Sadiq Khan. wI has published architect plans which satisfy all the planning requirements and meet the community's wishes for preservation of the Grade II listed building - London's first operational fire station, the courtyard to become a public amenity, a museum celebrating the history of Clerkenwell's firefighters and the provision of new-build affordable housing on the rear of the site, as well as housing our own public water resources education centre on the first floor. We urge The Mayor to issue instruction for the public sale process to be re-started to enable us to bring these plans forward and make our formal bid. Water Incorporated (wI) has set its sights on acquiring the former London Fire Brigade station at Clerkenwell in London from which to launch its operations, but has run up against a "brick wall" in the form of current owners, the London Fire and Emergency Planning Authority (LFEPA). Apparently the property is for sale but will not be offered to a charity such as ourselves. 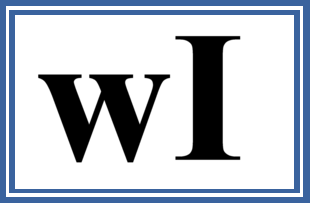 Now wI is appealing to Clerkenwell and the wider community to support its cause to the benefit of public gain over private greed. To support the Campaign, please click here. 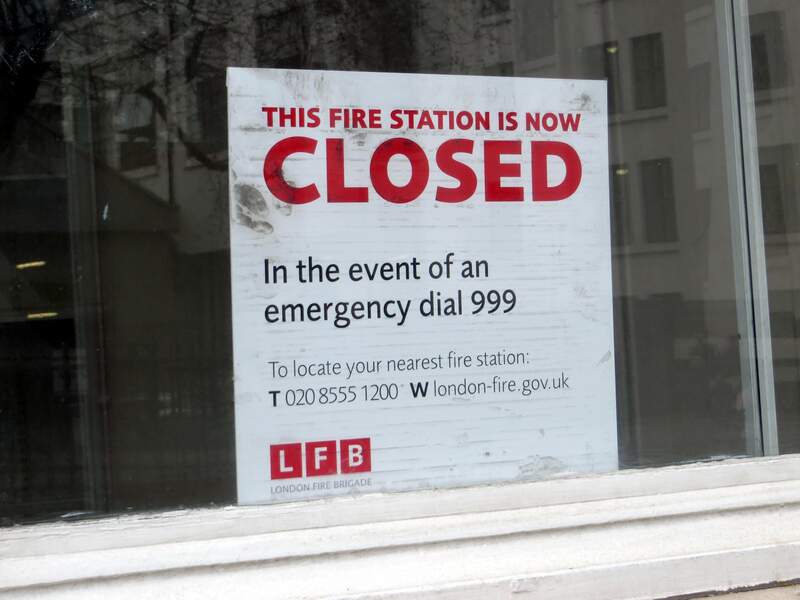 Clerkenwell was one of 10 London fire stations closed in early 2014 by former Mayor Boris Johnson. It was put on the market, but subsequently withdrawn after Islington Council issued a Planning Brief in November 2014 which imposed a number of restrictions on the use of the building and site, arising from a campaign by local residents to save the old fire station from the clutches of commercial developers wanting to turn it into exclusive luxury flats. Despite reports in the press of the huge drain on taxpayers' money in keeping the premises secured and insured ("Taxpayer bill for maintaining empty Clerkenwell Fire Station: £264k" - Islington Gazette), LFEPA have resisted all wI's attempts to negotiate to buy the fire station, and appear unwilling to put it back on the market. Clerkenwell is now the only one of the 10 fire stations originally offered for sale to remain unsold, and LFEPA's stance seems inexplicable. A successful acquisition would bring to an end wI's long search for suitable premises. The Trustees have resisted launching wI worldwide in the firm belief that it must, from its operational outset, be established in a high profile premises and location which will give it the status and exposure needed to attract participants to its central fundraising programme (explained on the "About" page of this website). The building and site will perfectly suit wI's purposes once it is transformed into a thriving hub in the centre of the Clerkenwell community. There is, of course, a natural connection between fire and water, and a museum on the ground floor celebrating the work of local firefighters will complement wI's water resources education centre on the first floor. The former fire station yard will become a public area, and attractive new-build affordable homes will bring the site completely alive. wI's involvement will guarantee the preservation of the beautiful Grade II-listed building - actually London's first operational fire station. Orignally built in 1871-73, and extended during Edwardian times, the fire station is packed with great features - not least the extraordinary old laundry room whose fittings will be preserved and brought into the museum display. We are already working closely with Historic England and the Victorian Society, and with local residents and community groups, to ensure that we have advice and input from all experts and interested parties. All the activity generated will be great for drawing attention to our charity's work. The location is perfect to give wI a prominent and permanent headquarters which is essential to our work. The Clerkenwell site is on the junction of Farringdon Road and Rosebery Avenue, and within easy reach of Kings Cross, Islington and the West End. Immediately across the way is the vibrant Exmouth Market, while the world famous Sadler's Wells Theatre is a close neighbour and the new Elizabeth Line Crossrail Station is due to open at Farringdon in 2018. This is where we want to put wI on the map! Leading UK water charity WaterAid has announced that "for the first time in history, 9 in 10 people around the world can now drink clean, safe water". BUT, of course - as WaterAid is quick to point out - this leaves an estimated 650 million people in the world WITHOUT ready access to clean, safe water, so there is still a huge amount of work to be done. For those of us born and brought up in homes with safe water on tap and the shelves of local stores laden with an abundance of bottled mineral waters, it is almost unimaginable to have to walk miles every day to collect a drink, or worse still to have no option but to drink filthy, contaminated water risking disease and death with every sip. Here at Water Incorporated we're hoping that we'll soon be much closer to launching our operations and making a valuable contribution to the drive to ensure that everyone has their rightful access to clean, safe water.